Over recent weeks the Big Bumbles have displayed a huge interest in our doctor’s role-play area –this stemmed from a previous visit from one of our parents who is a GP. To further enhance the children’s interests, they have begun to explore the human body in more detail. Another of our parents who works within the Archaeology department at Durham University kindly offered to visit us here at nursery to support this topic. 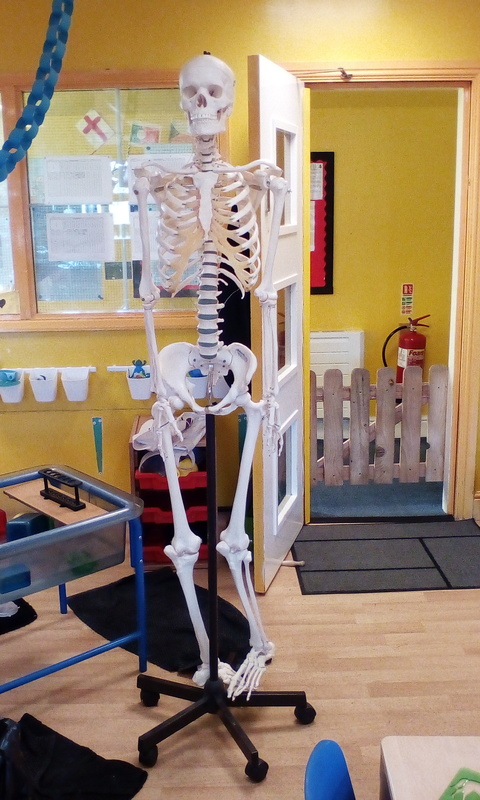 Last week the Big Bumbles welcomed her into nursery, along with a selection of human bones and a model skeleton to explore. The children’s interest was further enhanced through exploration of human bones, which were both articulated and disarticulated. 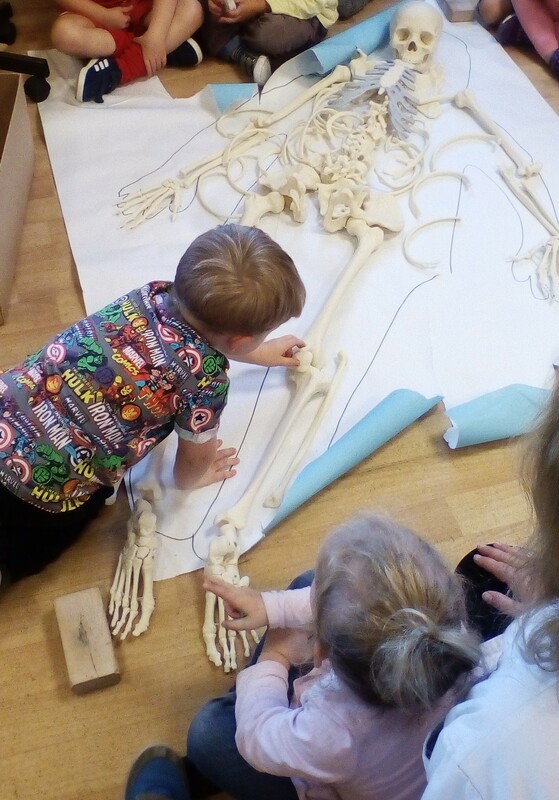 We identified bones in our body, their purpose and managed to place the bones on an outline of the human body. 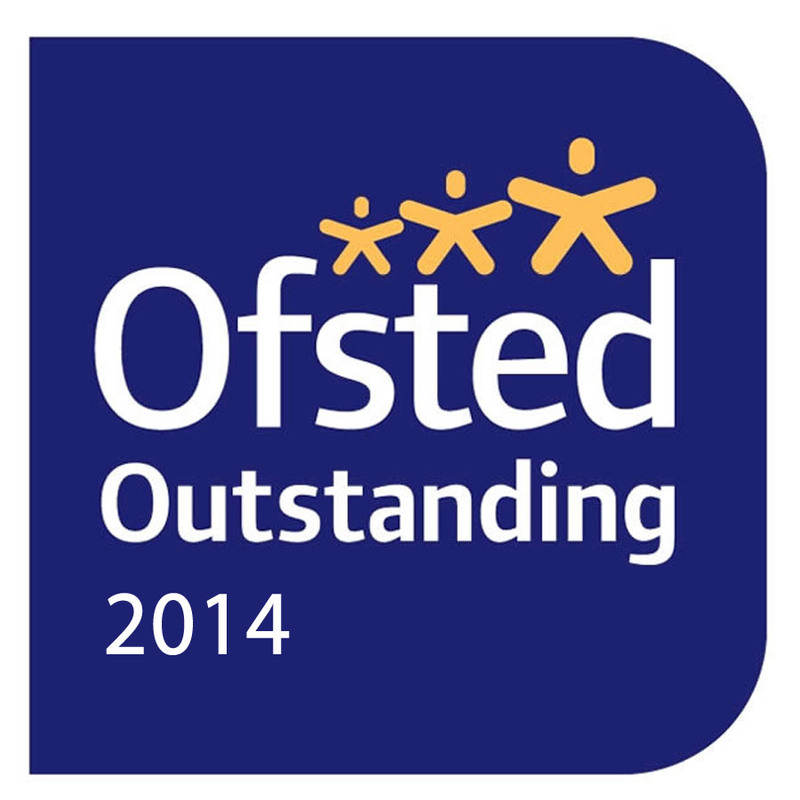 We would like to say a huge thank you for our visit – what a brilliant learning experience!